With over a week passed since the #ReleaseTheMemo controversy finally came to a head, it’s time to reflect more deeply on how we got here, and how domestic surveillance under FISA should and should not be conducted. To recap: The memo in #ReleaseTheMemo refers to the memo written by the office of surveillance hawk Rep. Devin Nunes, Chair of the House Intelligence Committee. It alleges that the FBI obtained a FISA warrant to surveil a Trump advisor based on questionable, politically motivated sources. The controversy relates to the efforts of the FBI to determine whether Carter Page, an adviser to the Trump campaign, was a paid agent of the Russian government. Page came under FBI scrutiny from 2013 onwards. The FBI submitted an application for a FISA surveillance order in October 2016, just before the presidential election. The evidentiary basis for this order was in part based on the “Steele dossier”, a document developed by a former British intelligence operative, as part of a contract with Fusion GPS. The work was part of Fusion GPS’ contract with the Democratic National Committee and the Clinton campaign to fund `opposition research’ into Trump. The FBI noted in the application that the Steele dossier materials were politically motivated, but, following the usual `masking procedures’ in such applications, did not identify that the people ultimately paying for the Steele dossier research were Clinton and the DNC. Rep. Nunes’s staff then developed a classified memo setting out the deficiencies they observed in the FISA application, arguing that even if the FBI had found Steele reliable as a source in the past, to rely in part on the Steele dossier materials was inappropriate given that it was funded by the Clinton campaign; and also arguing that Steele had shown himself by October 2016 to be an unreliable source by speaking to the press about the contents of the dossier. 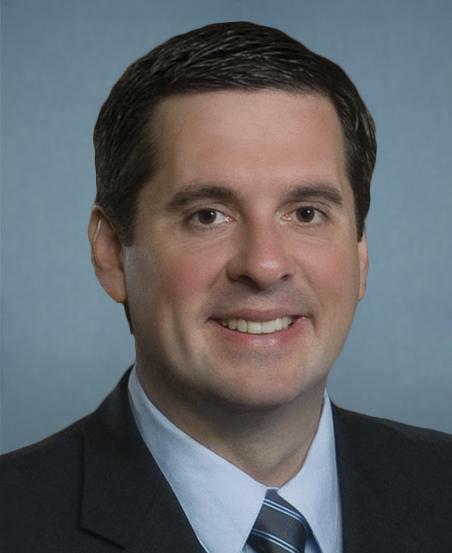 Rep. Nunes then had the House Intelligence Committee vote, on partisan lines, to release that memo, and with the White House’s consent, it was released. A competing classified memo from the Democratic minority, which took issue with the Nunes memo’s characterization of the FISA order application, was passed for release by the Committee on Feb. 5, but was then blocked by the President on the grounds that it contains classified information. Now, Democrats may seek a vote of the full House to approve the Democratic memo for release. People on the left, such as billionaire Tom Steyer, are arguing that, in order to oppose Trump, we should side with the FBI – the same FBI that continues to actively suppress peaceful movements on the left for social justice, and that pays confidential informants to manipulate poor and mentally ill people into taking steps to carry out acts of violence that are planned and funded by the FBI itself. People on the right, such as multi-millionaire Sean Hannity, are arguing that the memo is not a partisan hack piece, but is “worse than Watergate,” proving that the Obama administration illegally surveilled the Trump campaign. The truth, for the rest of us, is both more subtle and more worrying; but to understand it, we need a little history that TV talking heads aren’t equipped to provide. It’s been a long, slow boil that has spanned a little over four decades, and, to help with it, we’ve provided a character list and glossary of abbreviations. 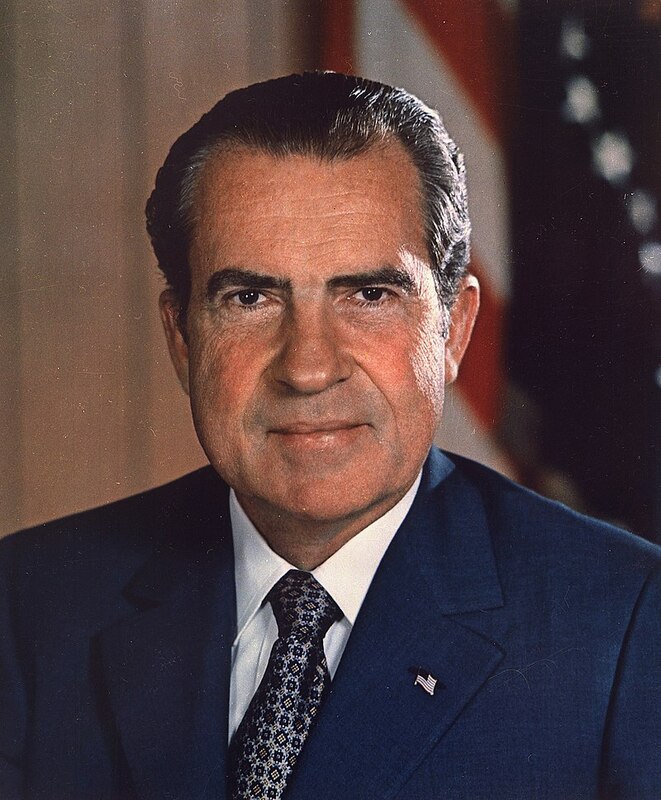 FISA was the main reaction of Congress to President Nixon’s illegal surveillance of the Democratic National Committee, and of political dissidents more broadly, uncovered as part of the Watergate scandal. Steering between the intelligence community, who wanted no court oversight of their spying on Americans, and the civil liberties community, who wanted real court oversight, it set up the controversial “Foreign Intelligence Surveillance Court”, or “FISC.” The FISC was a secret court, composed of a rotating set of appellate judges appointed by the Chief Justice of the Supreme Court that would hear only from the intelligence community, not from the person being surveilled or from anyone representing their interests. Its orders would generally be secret. FISC-approved surveillance was of individual US persons who might be agents of foreign powers. Being such an agent was not in itself a crime, so FISC orders fell short of the Fourth Amendment’s requirements for warrants. However, in terms of the supporting documentation required, the requirements for applications for FISC orders appear to generally be more onerous than the affidavits that support findings of probable cause in ordinary criminal cases. The result was that, through to 2001, there were relatively few individualized applications for FISC surveillance orders on US persons. 9/11 enabled the Bush administration to push a set of expansions to intelligence collection that had been floating around Capitol Hill since they were originally proposed by Joe Biden in 1995, before the Oklahoma City bombing. This included changes to FISA, such that it was now possible to submit an application for a FISA surveillance order to the FISC even where the primary purpose of the warrant application was no longer to gather foreign intelligence. The result was an expansion in FISA orders, especially relating to the activities of Muslims in the United States. However, this didn’t go nearly far enough for the Bush administration. They wanted to conduct mass, warrantless domestic surveillance, but FISA, being limited to surveillance of individuals, would obviously not allow that. Instead, they knowingly implemented an illegal program under executive authority alone, called STELLAR WIND. STELLAR WIND involved mining a large database of the communications of American citizens, including e-mail communications, telephone conversations, financial transactions, and Internet activity. President Bush originally authorized the collection of telephone and e-mail metadata only if one end of the communications was foreign or when there was a link to terrorism, but NSA went beyond their remit and also collected the metadata of purely domestic communications. Retroactively, Bush declared that they were allowed to do so, but that analysts were only allowed to look at metadata related to terrorism. STELLAR WIND was revealed, reluctantly, by the New York Times in late 2005, and several lawsuits were brought against telecommunications companies for participating in a manifestly illegal program. Congress’s reaction was the FISA Amendments Act of 2008, which gave the telecommunications companies immunity, and retroactively legalized the President’s illegal surveillance of the American people. The FISA Court of Review (FISC-R), a circuit-level court that meets extremely rarely to consider appeals of FISC decisions, also in 2008 became the first Court to rule that there was a “foreign intelligence exception” to the Fourth Amendment. Now, FISA was no longer entirely about surveillance of individuals; despite the Fourth Amendment’s `particularity’ requirements, there were now so-called `programmatic warrants,’ where the FISC authorized surveillance on thousands or tens of thousands of `targets’ at a time. The `targets’ were all non-US persons; but the people they communicated with were often US persons. The number of US persons whose communications are `incidentally’ collected in this way is unknown, but probably numbers in the millions; NSA and FBI have tried strenuously for six years to avoid giving even an estimate of how many. “About” surveillance relates to surveillance that is “about”, but not to or from, a foreign target. It is particularly likely to intercept US domestic communications. NSA has currently voluntarily suspended about collection, in order to get the FISC to sign off on continued collection under Section 702 of the FISA Amendments Act, which covers the mass collection programs. However, Congress’s reauthorization has directed that if NSA gets permission to restart about collection, and Congress does not act to prohibit it within 30 days, NSA can restart and even expand it. “FBI backdoor searches” are warrantless FBI searches of NSA’s foreign intelligence database, to find information relating to domestic crimes. Such information can form the basis of criminal prosecutions, but is almost never in itself introduced in court, because if it is, defendants can challenge the method of its collection. Instead, using a practice known as `parallel construction,’ the law enforcement agency reconstructs a plausible chain of evidence and inferences that can be introduced and challenged in court, that conceals the origin of the criminal case in a tip provided by the 702 database. In January of 2018, these surveillance powers, including “Section 702”, were reauthorized by Congress for a second time, in the teeth of growing opposition from around 40% of Congressmembers and Senators. As we can see from this history, the mere fact that individualized, politically motivated domestic surveillance is illegal is not enough to stop the NSA from doing it if it wants to, and the fact that FISA is the only statutorily approved method of doing it doesn’t mean that it is in fact the only method. The most recent evidence of such non-FISA surveillance is the whistleblower testimony of Russell Tice, who left the NSA in 2006. He depicts a highly compartmentalized program within NSA (meaning that that only a small number of people with the agency have access to it), which targeted presidential candidates Barack Obama and Hillary Clinton, House and Senate Intelligence Committee members, Supreme Court Justices, and others with significant influence over NSA’s budget and activities. There is no evidence that this program has ended since then, or that it has ever been monitored by the FISC. Returning to Carter Page, what happened to him was almost certainly legal under FISA as originally passed. From the competing memos now being released, the FBI was not fully clear with the FISC as to the fact that Steele’s firm was being paid by Fusion GPS, which in turn was being paid by the DNC. 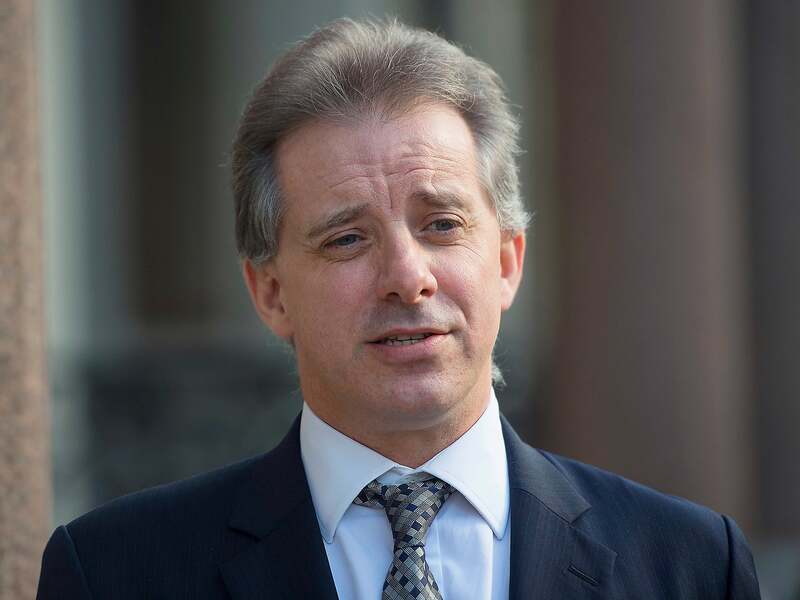 The Grassley memo suggests that the FBI represented Steele as being a reliable source past the point where they should have re-evaluated his credibility in light of his desperate efforts to share the contents of his dossier with the press. But the FBI did not appear to need the Steele dossier in order to demonstrate a sufficient basis under current law for the FISC to approve a surveillance order. However, that doesn’t, of itself, make it OK. Even in ordinary criminal prosecutions, requiring probable cause, officers are often slack in making sure that evidence for every assertion in a warrant affidavit is soundly based. They know that, because so few cases actually go to trial, it will be rare for their lack of thoroughness to be punished, investigated, or even suspected. This case, being high-profile, is now being deconstructed in the public eye, revealing procedural failings that are common, and commonly go unpunished and unnoticed by the courts. In the context of targeting a presidential campaign adviser for surveillance, the FBI should have meticulously ensured that every t was crossed and i dotted, and they did not. They should have assessed, in particular, whether Steele’s credibility had been compromised. They should also have requested to have the source of funding for the Steele dossier unmasked as part of the FISA application process. The White House should have been especially careful to avoid even the perception of political interference with an ongoing investigation, and in both the cases of the Carter Page investigation and the Hillary Clinton investigation, it appears that they were not careful enough. FISC is a forty-year experiment in allowing the intelligence agencies to derogate down from probable cause requirements, in the hope that allowing them some latitude would encourage them to refrain from broader abuses. That experiment has failed. The history shows that allowing the intelligence community and the FBI to subvert constitutional norms only encourages them to push further; every compromise solution is taken as permission to stretch its language to the limit, and to collect and investigate as much as possible. Politicians enable this process because they are afraid that they will be blamed after a terrorist attack if they do not give the maximum latitude possible to the intelligence agencies and law enforcement. There is no substitute for the full requirements of the Fourth Amendment, or for scrutiny of government surveillance requests in an adversarial court process. As FISA originally intended, individuals against whom a FISA order request is granted should be able to obtain copies of the FISA application and supporting documents, just as they are already in theory able to see their FBI files. More broadly, given how deeply the FISC has been corrupted, and the kinds of abuses it has happily acquiesced in, it may well be that its time, and the time of the Watergate compromise, have passed. We are renewing our call for a new congressional Church Committee, where Congress frankly and openly discusses what changes are needed to intelligence collection, without, as happened in the recent 702 debate, being held hostage by leaders of both parties content with the status quo. As part of that public debate, members should be especially conscious of the risks posed by political surveillance, and should codify an especially high standard for NSA and any intelligence-collecting agency when conducting surveillance of people seeking or holding political office. Beyond this, there must be meaningful accountability for NSA agents who lie to their overseers about the surveillance that is being conducted. Congress winks at being lied to about this, and should not. Last, elected officials will not feel obliged to honor the Constitution unless there is a serious prospect of their losing office for not doing so. Watch this space as we develop strategies to address this problem.